Knick knacks are a reflection of your personality and the knick knacks you use to decorate your home give a little glimpse into your personality. Keeping this in mind, Nilkamal brings to you the Small Stone Pebbles Jar, Brown that will help you to show off your simple, sophisticated tastes. The Small Stone Pebbles Jar will prove to be a wonderful addition that beautifies your living room. 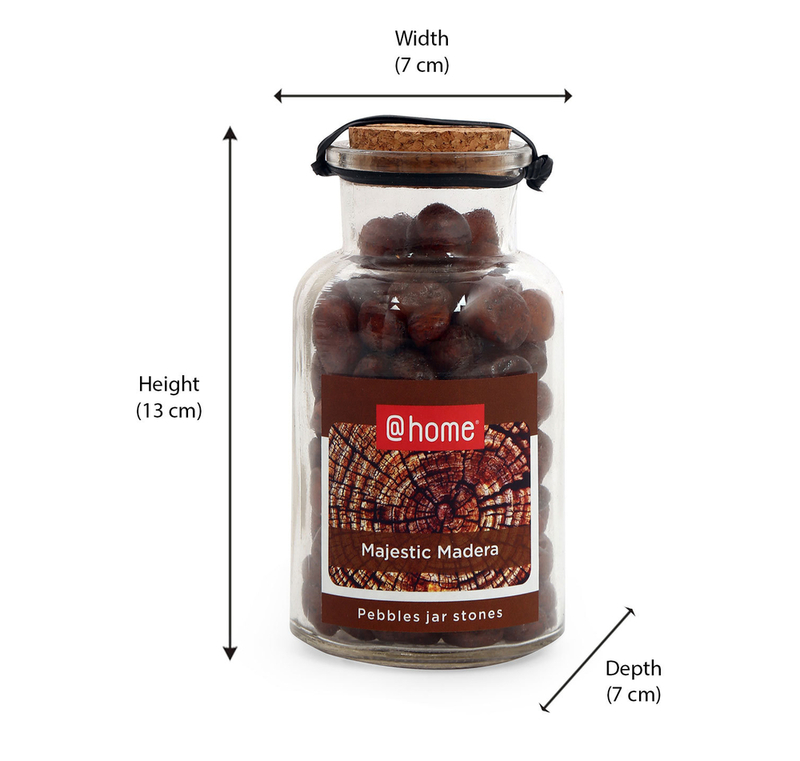 The Small Stone Pebbles Jar package consists of a mason jar made from see through glass, a cork, and small brown stones that have smooth, rounded edges. The glass jar measures 7 cm in width, 7 cm in depth and 13 cm in height. It is filled entirely with beautiful small brown stones. Brown stones are a symbol of wealth, prosperity, and dreams. They also represent abundance, energy, hard work, stability, and security. They are known for positively affect motivation and determination. Stones, on the other hand are known for bring luck, energy and longevity. They symbolize solidity, stability and humility. By bringing home the Small Stone Pebbles Jar, Brown, you will succeed in making your coffee table, book shelf, or wall unit look more attractive. Buy the Small Stone Pebbles Jar, Brown @home.